W2APRS is an Android application for APRS mapping. 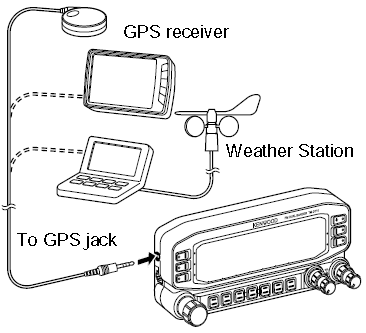 It receives the waypoint data of APRS stations from a transceiver, and displays their locations on the Google Map. 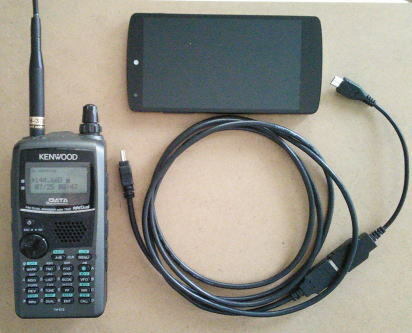 W2APRS uses the USB host function of the Android device. It should be noted that not all Android devices support the USB host funciton. 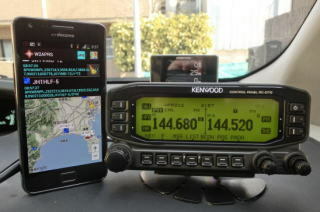 Start W2APRS and tap Continue. Go to Setup and check "Secure Bluetooth Connection". Terminate W2ARPS. TH-D74 Menu -> APRS -> Others -> PC Output -> Select "Raw Packets". TH-D74 Menu -> Configuration -> Interface -> PC Output (APRS) -> Select "Bluetooth". TH-D74 Menu -> Configuration -> Bluetooth -> Bluetooth -> Select "ON". TH-D74 Menu -> Configuration -> Bluetooth -> Select Paring mode to make TH-D74 wait for connection. Start W2APRS and select Bluetooth. Wait for TH-D74 comming up in the list. Tap it. Do not forget to start APRS mode on TH-D74. 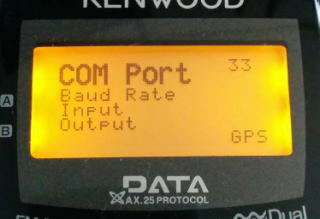 Set up the TM-D710 menu items to make it output the waypoint and APRS data via the COM port. Make sure 9600bps is selected. Turn the data output on. 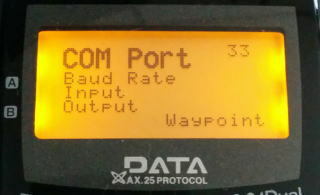 The waypoint and/or APRS data come out from the COM port on the left side of the controller, as shown below. 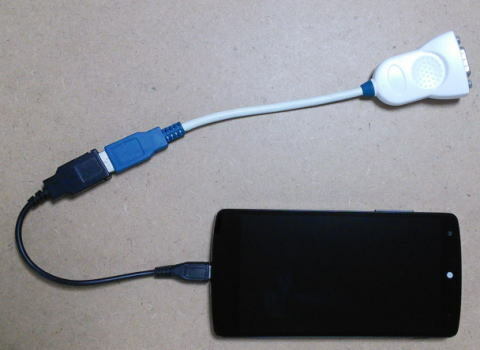 To connect the data cable to an Android device, use a USB-serial converter and an OTG Micro USB cable. 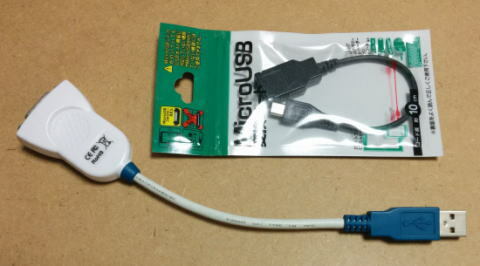 The USB-serial converter shown in the photographs in this page uses an FTDI chip. W2APRS supports major USB-serial conversion chips, such as FTDI's, Silicon Lab's, and Prolific's. 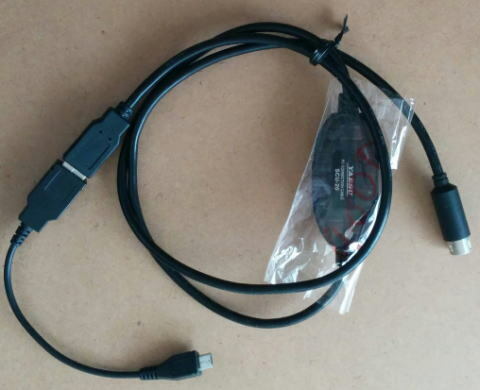 Hopefully you would not have troubles in having W2APRS recognize your USB-serial conversion cable. 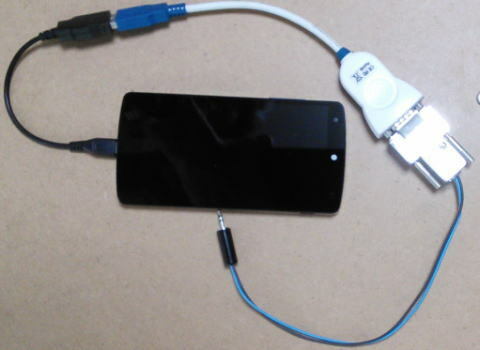 Install W2APRS before inserting the OTG micro USB cable to the Android device. This is a whole view of the cable connections. When you first insert the OTG cable to the Android device, you should be asked if you set W2APRS as the default app for the USB-serial cable. Simply answer "Yes." Use an OTG micro USB cable and a mini USB cable. You can use the stock USB cable of TH-D72. 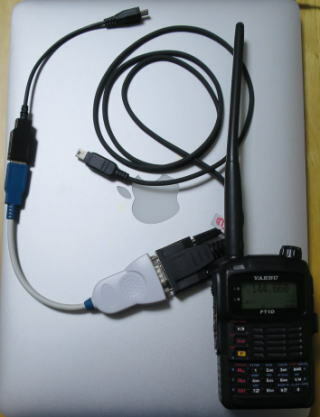 Install W2APRS before inserting the OTG micro USB cable to the Android device. 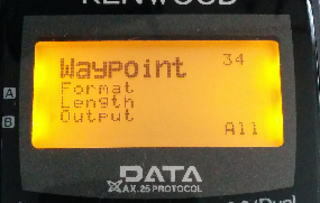 Set COM port and Waypoint options of TH-D72 as follows. Make sure 9600 bps is selected. Make sure Input is set to GPS. Output should be All, though you can select another for filtering. Use an OTG micro USB cable and the stock USB cable of FTM-400D. Follow this video for the FTM-400D setup. Use an OTG micro USB cable, a USB-serial adapter, and the stock serial cable of FT-1D. Push and hold the DISP button to enter the menu setup. Select 17 COM PORT SETTING and push ENT. 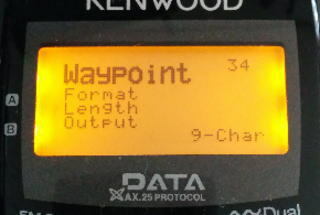 STATUS = ON, SPEED = 9600, INPUT = ON or OFF, OUTPUT = WAY.P, WAYPOINT = NMEA9, Mic-E = ON, POSIT = ON, WEATHER = ON, OBJECT = ON, ITEM = ON. Push DISP three times to return to the top. Click on the version ID to download the APK file to your android device. If you have a trouble in installing the APK, try Opera browser. I recently used Chrome browser and successfully installed W2APRS.apk on my Nexus 7. 0.39H February 11, 2017 Draw a dot at the receiving position on the tracking line. Fixed minor bugs. 0.39F January 29, 2017 Show the trajectory of stations being tracked (only specified stations). Fixed minor bugs. My position is now shown on some devices. 0.39C January 27, 2017 Fixed the bluetooth secure connection problem. Changed the target Android version from 5.0 to 6.0. 0.39B January 23, 2017 Added the retry button to the Bluetooth initialization window. When the app starts, it displays the map that was shown in the last run. Added an option that tracks the positions of the specified callsigns. Long tapping on a callsign shows the window to select callsigns. 0.37 December 3, 2016 Added TH-D74 support. 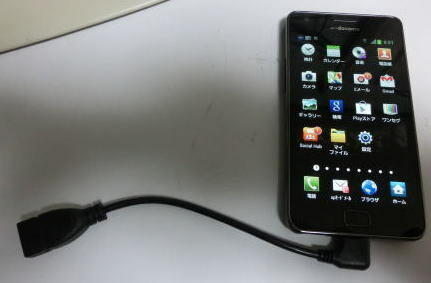 The smartphone and TH-D74 can be connected via a USB cable. Beta version. 0.35A May 1, 2016 Added a function that outputs the GPS NMEA data to transceiver via USB (via Bluetooth is not yet implemented). 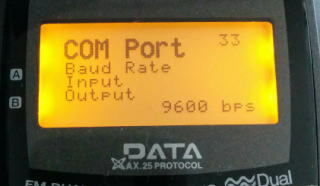 In the Menu setup, check the "Output NMEA data" on. Make sure the "Track my position" is turned on and "GPS"is selected for the postion data source. 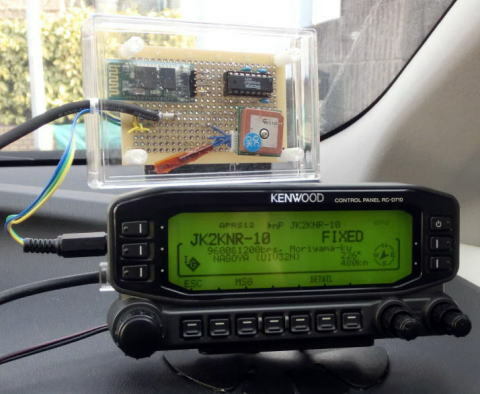 (TNX KG7VFC) Need app restart when "Track my postion option" is turned on. Memory leak on Google map? 0.3.2Y October 26, 2013 Fixed bug that causes an abnormal termination when the Android device is connected to TH-D72 as a USB host. Memory leak on Google map? 0.3.2X September 22, 2013 Updated for the latest Google Play Service Memory leak on Google map? 0.3.2W August 18, 2013 Updated for the latest Google Play Service Memory leak on Google map? 0.3.2V August 4, 2013 Added a secure mode for the Bluetooh link. Memory leak on Google map? 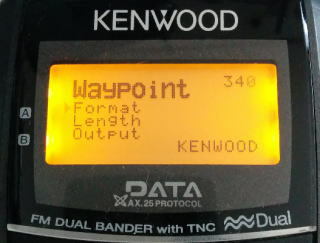 In addition to the Waypoint data, W2APRS can decode data in the standard APRS format. 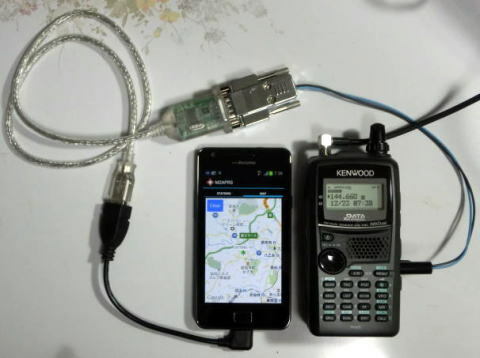 W2APRS uses the Android USB host function, so that you can connect the Android phone directly to a USB serial adapter, which then is connected to a transceiver. W2APRS supports three major USB serial devices, that is, Prolific, Silicon Lab and FTDI.